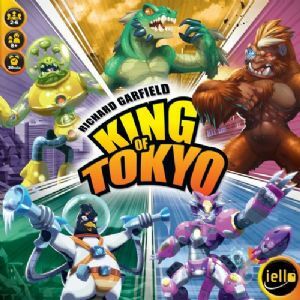 On the 5th anniversary of the release of the best-seller by Richard Garfield, King of Tokyo gets a facelift with a new version, entirely redone by a group of artists led by Regis Torres, who previously illustrated the Halloween expansion pack and King of New York. In addition to these exclusive illustrations, this new version will have a new rulebook that was reworked to be clearer, as well as two new monsters: the ever-so-popular Space Penguin (the original highly sought-after version was only available through tournaments) and Cyber Kitty. The King, Gigazaur, Meka Dragon, and Alienoid, still defending their territory, have also benefitted from a makeover. The changes are purely aesthetic – the rules of the game and Power cards remain unchanged. The Successor to King of Tokyo adds city areas, the army and much more! The Anubis Monster Pack is compatible with the King of Tokyo and King of New York base games and with all their expansions. The Anubis Monster Pack introduces a new game component in the form of the die of fate! 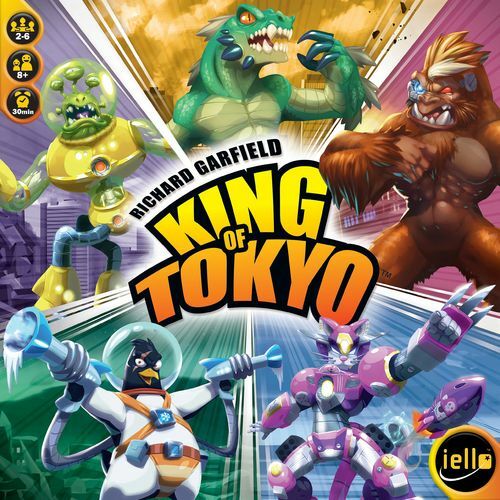 The King Kong Monster Pack adds new elements to two games: Tokyo Tower for King of Tokyo and the Empire State Building for King of New York! Two new monsters with all the cards needed to play with either King of Tokyo or King of Tokyo : Power Up! Can you rule, or will be the most infamous monster in the graveyard? Welcome Cthulhu, the first in a line of Monster Packs designed to expand the "King of" family! Now you can deploy fishy cultists in the streets to help summon victory!